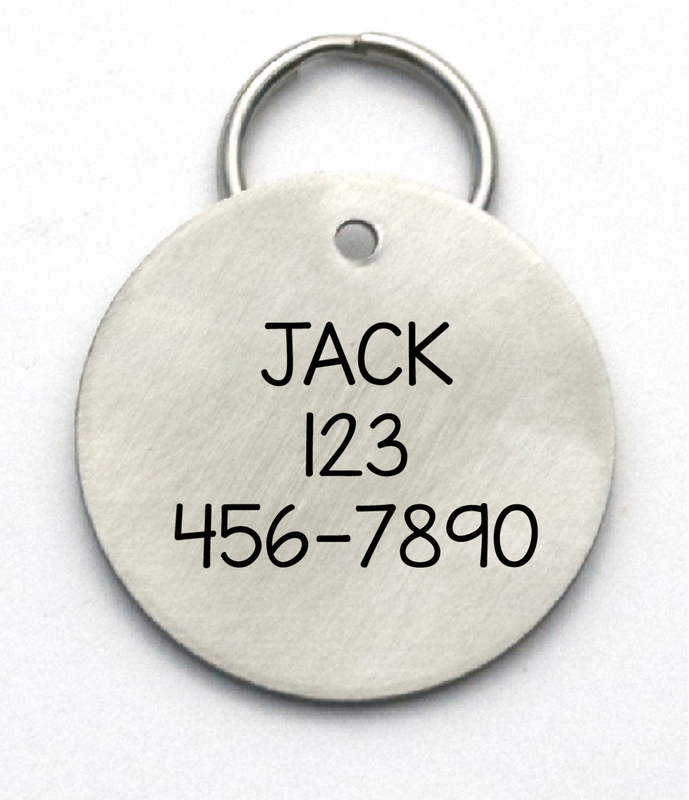 A 1-1/4-inch size large engraved stainless steel pet tag. 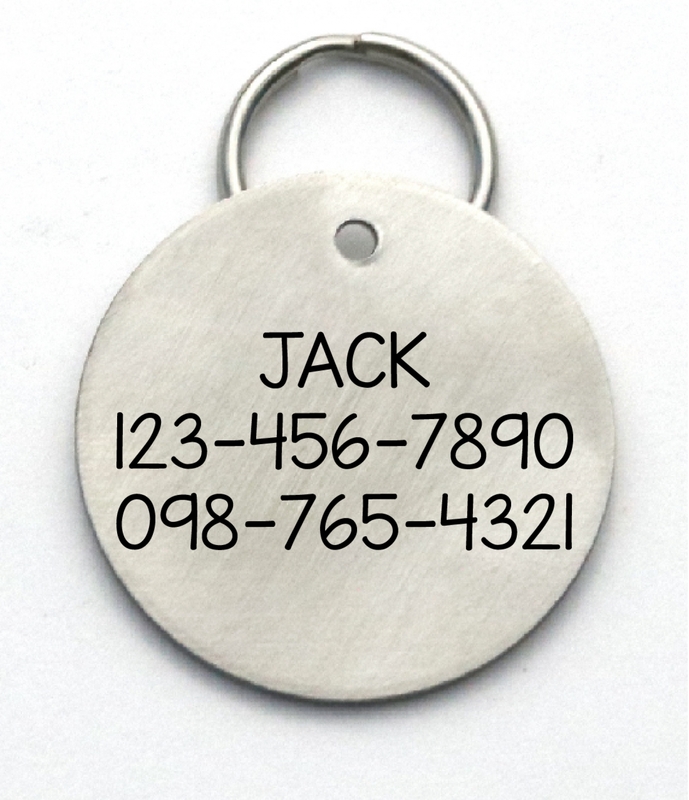 The front will be engraved as shown with "I kissed a human and I liked it", and then your pet's name and one or two phone numbers engraved on back. 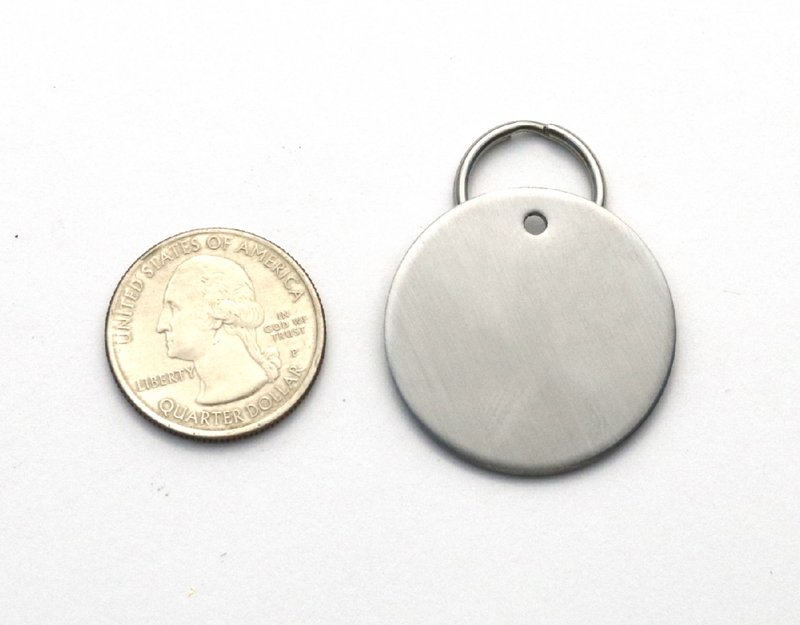 Great gift idea for dog people!